Yea. Bloodborne is kinda like that. If Dark Souls is like chopping off your own arm, Bloodborne is like walking across a bed of hot coals. I am not a spiritual person, but I do enjoy looking at games through the lens of ritual. The social performance of ritual has always been fundamental to my experiences with religion as well. As a kid, church was a shared public time of reflection (or castigation) depending on the sermon. Youth groups, on the other hand, were excuses to hang out with friends under the guise of religious teachings. There is a feeling of being part of a larger whole in both, a sense of fitting into a complete circle. It can be deeply self confirmation. 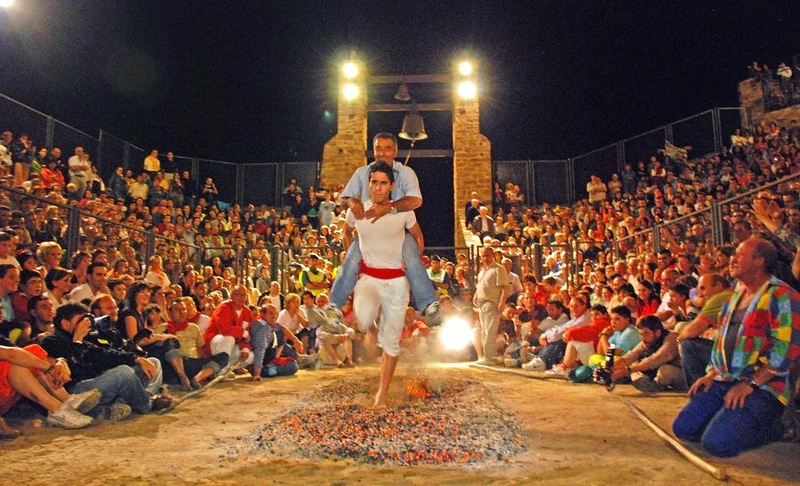 Firewalking is often described with spiritual connotations and fits into the same shared space, shared vein of religious experiences. The crowds that attend these events not only create the tone of a spirituality with the physical trappings and strict rites related to the event, but their presence is both a form of pressure and of support. They can remind you that they too went through this same rite of passage, and that therefore you can also confront your fears and prove yourself more than human. The discourse around Bloodborne strikes me as familiar, from the in-game encouragement to the meta-chronicling fans do to document the lore of the game or tips for other players to employ in their own journey. Even if they're invading your world or trolling you with fake messages, I get the sense every single Bloodborne player has your back. They want you to succeed because they know how empowering it can feel to face something that appears brutally difficult and overcome. In the darkest stretches of Bloodborne's nightmarescape, I'm actually optimistic and inspired by the gaming community.